If you haven't had the opportunity to hear this bands music yet, it will find you. 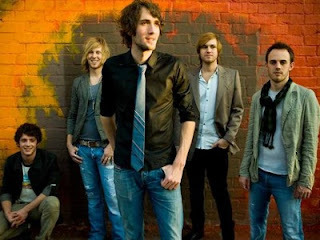 I've just recently been introduced to Green River Ordinance after scanning through free music on Noise Trade. After listening through a few of their songs I was incredibly surprised at how polished this band sounds. I was even more shocked to find out that this group has been making music for a decade and I was the one that was behind the curve. If you haven't introduced yourselves to their music yet, the good news is that their album is currently offered as a free download on Noise Trade. So don't miss out on it. They are also working on their next album which you can pledge money towards and receive some unique custom fan merchandise in return (Signed albums, personalized greetings, meeting the band, ect.). Visit their Kickstarter page to take part! You can listen to the free album by clicking on the widget below. To download all of the music for free, simply type in your email address and postal code and select "Next". You will get an email with a link to download the album that comes in a .ZIP file. Enjoy this, its worth it.